Eminem has landed his ninth consecutive number one after the surprise release of new album Kamikaze last week. Getting to number one with his new album, his second in less than a year, means Eminem has broken a record which had stood for 36 years in the UK, held jointly by Abba and Led Zeppelin, who both had eight consecutive number one albums. Eminem’s streak of number ones began 18 years ago with his second major label record, The Marshall Mathers LP. His major label debut, The Slim Shady LP, hit number two in the US album charts, and number 10 in the UK. Since then, all his albums have reached number one in the UK and US. Kamikaze is the fourth fastest selling album of the year in the UK, behind Arctic Monkeys, Drake and George Ezra. It also outsold the number two album – the soundtrack to Mamma Mia! Here We Go Again – by three copies to one, as The Guardian reports. Eminem’s new album also topped the Billboard charts in the US, where it sold 434,000 equivalent album units in its first week. Of that figure, 252,000 were traditional album sales, while the rest were from streaming services. In comparison, Eminem’s last album Revival, which also entered the charts at number 1, only sold 267,000 units in its first week. However, the rapper isn’t only dominating the album charts, he also also has three songs from his new album inside the top ten singles chart, with Fall currently at number nine, Lucky You at six, and The Ringer at four. Although he may have beaten a UK album record, Slim still has some way to go to do the same in the US as, according to Billboard, he’s now tied at fifth place for the most number one albums with Garth Brooks and The Rolling Stones. The only acts with more are The Beatles, with 19, Jay-Z, with 14, Bruce Springsteen and Barbra Streisand with 11, and Elvis Presley with 10. Despite the successful album sales, Slim’s last album, Revival, was met with mixed reviews. Many people are calling the new album a welcome return to form. The video for the first single from Kamikaze, for the track Fall, features Eminem acknowledging the negativity surrounding previous LP Revival, with the rapper crushing a CD of it at the end of the video. However, the 45-year-old rapper has come under fire for some of his lyrics on the new album, as Slim takes aim at a number of rappers and artists. Most notably, in the track Fall, Eminem takes aim at Tyler, the Creator, using homophobic language. 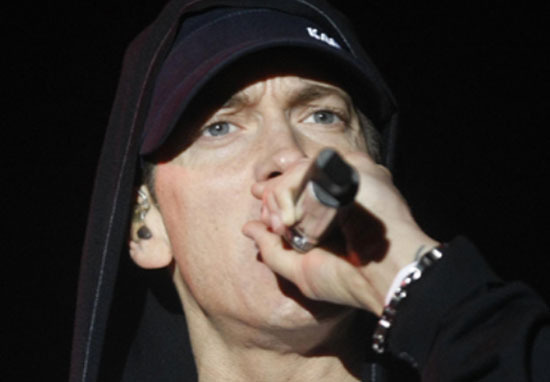 A number of prominent figures and other musicians have criticised the rapper for the line. Although it’s more and more common for rappers to diss one another in tracks these days, Eminem’s choice of language seems to have drawn more criticism than usual.